Team GRX’s Skoda driver Emil Lindholm and Mikael Korhonen rose to second place in the standings with the best time of the Enset rally’s last special stage, putting them in the position to fight for the silver medal in SM1-group. The group’s championship is secured by Eerik Pietarinen, who won in Sastamala, going into the last rally of the season. Lindholm finished 14,4 seconds behind him. - Congratulations to Eerik for the championship! This wasn’t a perfect rally for us. In the second special stage we went a little wide on the intersection and on the fifth special stage we went into the ditch on the first turn. I don’t know what I was thinking. This rally could’ve gone a lot worse then it was, so I’m happy we placed second. 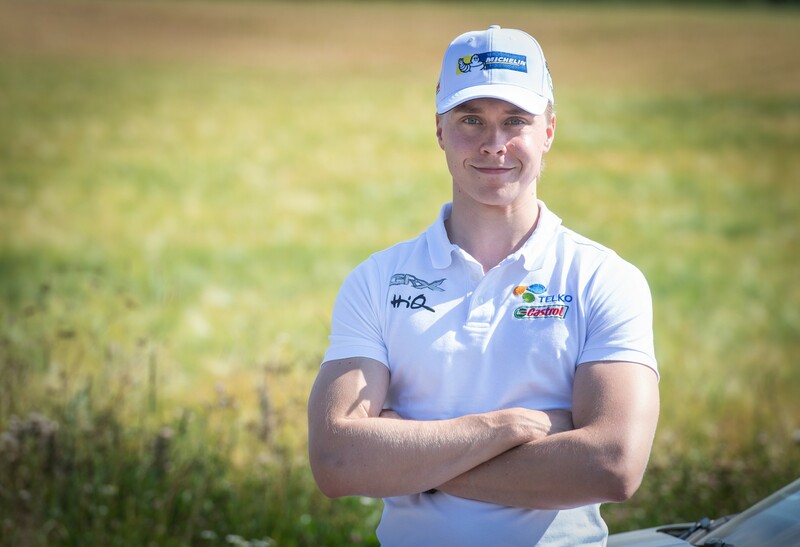 Second place was resolved on the last special stage of the rally (5.17 km) where Lindholm, Takamoto Katsuta and Kristian Kiviniemi started 2,7 seconds one after another. Lindholm conquered the rainy special stage, clocking the best time securing his third second place finish of the season. - It was an important result that keeps us in the battle with Teemu Asunmaa for the silver medal. The situation is whichever one of us is ahead of each other on the finish line of the next rally, wins the silver medal. Today I lacked confidence in my own driving that I could’ve driven a little faster. There was a lot of traction on the wet roads but I still felt like the car wasn’t progressing enough on the straight aways. The Finnish Championship rally’s final event SM Teijo Talot-rally is driven in four weeks in the Turku and Salo area. On the two-day event the points are point and a half more determining the fate of silver and bronze medals in the SM1-group.